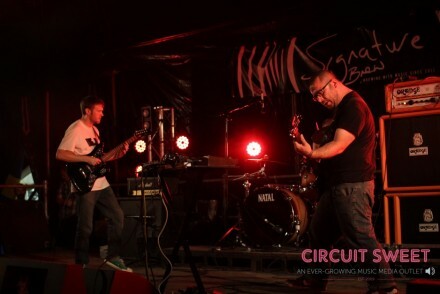 Just last week we featured We Are The City in a Circuit Sweet Introducing post. Following a week of praises for featuring the band they return with a visual treat for you all. We Are The City consists of Cayne McKenzie- Vocals/keyboard. Andrew Huculiak- drums and Blake Enemark- guitar. In March of this year the band released their 6 track EP entitled High School. A result from an experiment that began as a side project during some down time in the summer of last year. We featured that EP streaming in full HERE. To coincide with that stream Amazing Factory Productions Proudly Presents- We Are The City’s HIGH SCHOOL (A Video Series) It its 26minute entirety. Amazing Factory Productions presents We Are The City’s High School from Amazing Factory Productions Inc. on Vimeo. “This Series has a video for every song on We Are The City’s latest release ‘High School’. The videos were created in record time, and with the help of many of AFP and WATC close family and friends and plenty of late nights and early mornings. We strongly feel that these vids need to be presented all together, much like you’d sit down to listen to a vinyl record, they belong as one collective piece. Produced by Amazing Factory Productions INC and We Are The City.